The Global Energy Institute released its 2018 Index of U.S. Energy Security Risk, which revealed an improved score for the sixth consecutive year, nearing the best score since 1970. This means that—based on 37 metrics calculating energy security risks related to geopolitics, our economy, reliability and the environment—we continue to strengthen American security thanks to the shale revolution and the surge in oil production we’ve experienced over the last decade. Making this point even clearer, the U.S. Energy Information Administration’s (EIA) newly released 2019 Annual Energy Outlook contained a remarkable new projection related to U.S. energy exports: Instead of transitioning to a net energy exporter by 2022, as projected less than a year ago, EIA now forecasts the United States is on pace to achieve that status by 2020. Thanks to record-breaking crude oil and natural gas production—driven by advancements in technology and innovation that have enabled the shale revolution—America will once again become a net energy exporter for the first time in 67 years. That bears repeating—the first time in 67 years! Liquefied natural gas (LNG) exports will increasingly contribute to energy exports, EIA says, thanks to growing demand abroad and a seemingly limitless supply of affordable U.S. natural gas. But despite America’s ongoing energy revolution and our industry’s remarkable progress in hardening physical and cyber security, there is one stark outlier – New England. This week marked the anniversary of the arrival of a Russian LNG tanker in Boston Harbor, a move that sparked controversy because – by all measures – there should be no reason the region should rely on imports given the abundant, domestic natural gas available in nearby Ohio, Pennsylvania and West Virginia. Nonetheless, a cold snap last winter caused operators in New England –– to have to look overseas to meet peak demand. 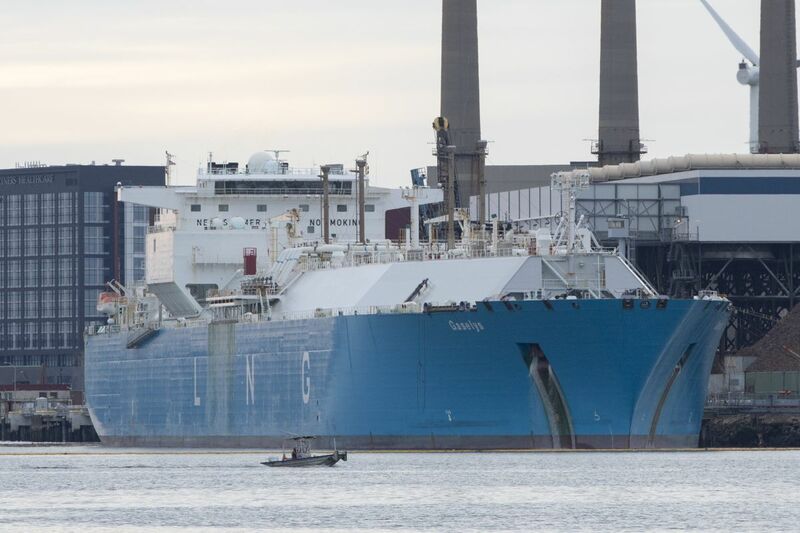 Iit could be the first of many foreign shipments as the region faces the regular risk of rolling winter blackouts and may rely on increasing amounts of expensive, imported LNG to meet its future power needs. Right now, we are preparing for the coldest temperatures our nation has experienced in a generation. While we are relieved that the Midwest is home to adequate energy infrastructure, we can only hope that the anti-energy activists and politicians responsible for New England’s inability to enjoy the energy security and affordability benefits of the shale revolution will soon see the light. And in the future, we will continue to advocate for the construction of critically needed pipeline infrastructure into the region. American energy history is being written before our eyes. The story is a successful one, and as more and more data proves, the future just keeps getting brighter. We hope families and businesses in New England will someday be able to reap the rewards along with the rest of us. US #Energy security continues to strengthen, but New England misses the boat. WHAT IF…Energy Production Was Banned On Federal Lands & Waters? WHAT IF…..America’s Energy Renaissance Never Actually Happened?